Simi Valley is a fully grown city with numerous households, education institutions, healthcare facilities, commercial businesses, and industries. And each of the properties that house these facilities require high-quality plumbing services to keep their drainage and piping systems running effectively. Apart from installations, plumbing systems need regular inspection, maintenance and, if need be, repairs. Highsmith & Daughters Plumbing Inc, having been in the business for more than a decade, is proud to be one of the top companies that provide superior drain cleaning and emergency plumber services in Simi Valley. A blocked drain is one of the most common plumbing problems experienced in many household kitchens and bathrooms. This is mostly caused by the buildup of grease, fats, soaps, and detergents on the inner walls of the pipes. This leads to the drainage system running slower by the day. Your kitchen is the powerhouse of any home, probably the place where any family congregates most the time. Amidst all the washing and cooking, there’s always some dirt, grease, minerals, and debris that is flushed down the drain. The buildup of these elements can slow down your kitchen drainage system or worse still block it completely. But with our expert help, we can help maintain and fix any problem to keep the system running efficiently. Whether your shower or tub is clogged with soap and hair or your toilet drain blocked with toilet paper, you can trust us to fix the problem. It doesn’t really matter the extent of the damage. We have all the necessary equipment and skill to get your bathroom drains up and running. It’s no doubt your laundry room handles as much dirt as the kitchen or shower does. And since the drains for such utility rooms are many times installed under the floor, it can be quite a daunting task to do some maintenance and repairs. But with the right plumber, most blockage issues can be dealt with. We can flush out any dirt or debris that may have clogged the floor drains and repair any drain pipe damage that may be causing odors and sewer gas leaks. 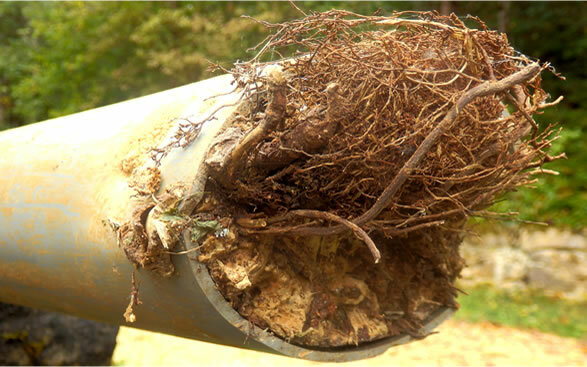 Storm drains commonly get backed up with leaves and other yard debris, or even worse, tree roots grow through pipes and shatter them completely. While we don’t get rain too often in our area, when we do, this could cause flooding in your backyard. We know how to find the point of the clog or breakage in the pipe and effectively clear it out. Sewer pipe clogs can be a nightmare. If you notice most the drains in your house are slow, it could be a blocked sewer pipe. We’ll be able to detect the severity and area of the clog and clear the blockage. If you need a drain cleaning services, call us at our telephone hotline number today to schedule an appointment or to request emergency services.